From the creators of ANGRY BIRDS comes a DELICIOUS NEW matching game with CUTE characters and FRESH and FRUITY puzzle gameplay. Meet the NIBBLERS – your fishy friends who only want to eat YUMMY fruit – ALL the yummy fruit! Om nom nom! All fun and games right? Woohoo! Fruit party over here! Well, the island’s reptilian inhabitants are not too happy about our group of aquatic party animals gobbling up all their fruit, and they’ll try to stop them at all turns. 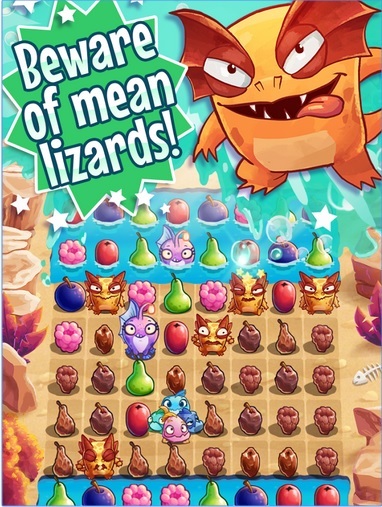 It’s up to you to use the Nibblers’ special powers to keep a steady supply of fruit flowing and elude those pesky lizards in this soggy saga!